Today is Muffin Tin Monday and it is the weekly blog carnival that has kids all over the world jumping for joy. I remember the expression my daughter gave me when I first put food in a muffin tin for her. I will never forget that little sparkle that I saw. I still see it every time I serve a Muffin Tin Meal. It's not for every child, but we love it. I was graciously given a package of assorted cheeses by Smart and Final (they heard about my obsession with their cupcake mix ;) and am part of the SF Smarties team for Smart and Final. It has been awhile since I had tasted Colby Jack. It is so soft and delicious. Smart and Final would like you to know they are having a promotion on their First Street brand of cheeses right now, so check 'em out if you live in NV, AZ,CA and more. Now It's your turn. Did you make a Muffin Tin Meal this week? I would love to see it! You can add your blog post, facebook photo (shout out to all the FB fan pagers! ), or other photo sharing website by clicking on the blue "add your link" button, just remember to include a link back to muffintinmom.com somewhere on the page. :) Can't wait! *Coming up this week on Muffin TIn Mom: Guest Posts by No Time For Flashcards, Confessions of A Homeschooler and Katie's Nesting Spot. SOme serious awesomeness happening this week! Next week's MTM theme is HALLOWEEN. 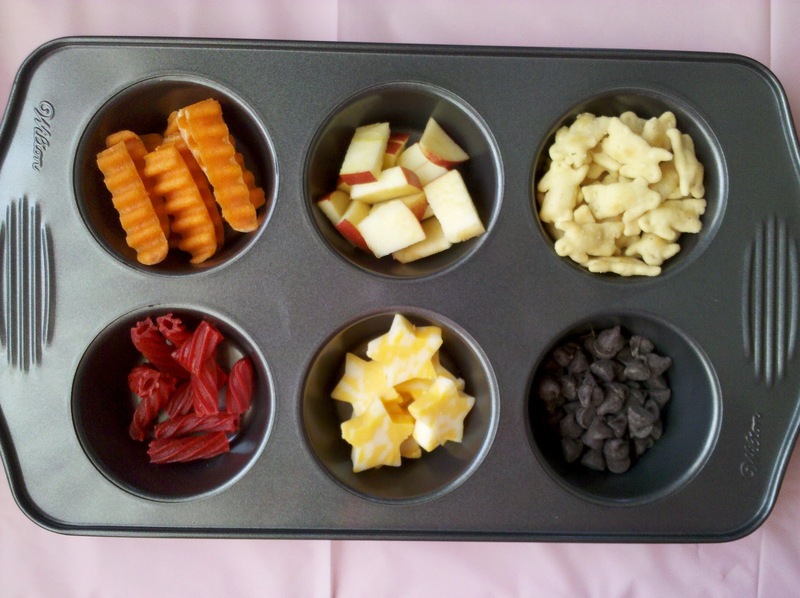 wow ... assorted cheeses - YUM! Here we are again! :) By the way, I'm totally stealing your idea for pumpkin oranges for next week! XD Imitation is absolute flattery in this case! I'm a day late, but any day is a good day for a Muffin Tin meal!